Dr. Schuler and Dr. Rapoport are both board-certified by the American Board of Periodontology. 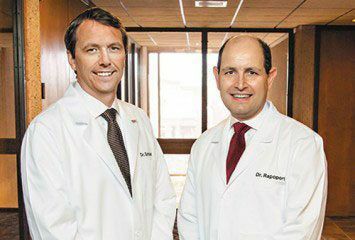 Dr. Rapoport and Dr. Schuler are both highly trained and certified specialists in advanced dental implant procedures. They have placed thousands of implants during their many years of experience. Below are the differences that set us apart as a practice where the highest technical standards are combined with exceptional personal service to give you top-quality care. 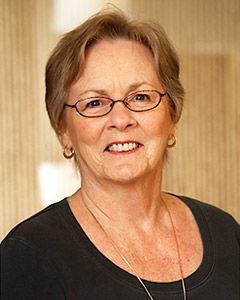 Rarely are all doctors in a practice not only credentialed dental specialists, but certified by their professional boards that maintain and ensure technical proficiency standards. Dr. Rapoport and Dr. Schuler are both board-certified by the American Board of Periodontology, a status that is earned only after passing a rigorous exam on dental implant procedures and other aspects of periodontics. Only 10 percent of the periodontists in the U.S. have achieved this certification. In some offices, the doctor performing your implant surgery handles your sedation simultaneously. For quality and safety reasons, it is essential that each specialist involved in your procedures is able to concentrate fully on his expertise and not have to handle two aspects of the procedure at once. We have a certified anesthesiologist administering your sedation as your doctor performs your surgery. In this way, no one is doubling functions or compromising quality or safety in any way. In many implant centers you do not meet the entire team that will be involved in your procedure until the day of surgery itself. At Pacific Northwest Periodontics, you will have separate presurgery conferences with your anesthesiologist, your prosthodontist or restoring dentist, and your doctor who will perform your implant surgery. These will all be held well ahead of the surgery date. This will not only ensure you are completely prepared for each aspect of the procedure, but also that the specialists will be able to confer ahead of time to ensure their actions as a team are perfectly dovetailed. Your surgery will thus be both maximally efficient and of the highest possible quality and safety. 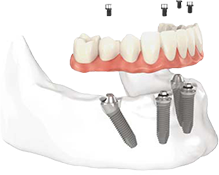 We are able to give All-on-4 treatment to many patients who would not be eligible in other offices due to the bone loss in their jaw being too severe to allow for a stable foundation for the implants. Patients in our office who have no usable bone left in their upper jaw for regular All-on-4 implants can receive special, long implants known as zygomatic implants. These implants are placed through the upper jaw into the cheekbone. 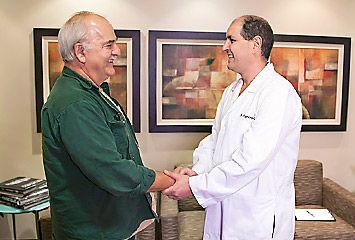 This is a very precise surgical procedure that only highly trained and experienced implant surgeons such as Dr. Rapoport and Dr. Schuler can perform. We will provide 12 months of any required follow-up care after your All-on-4 procedure at no charge. After the first year, annual check-up visits for your new teeth will performed at a nominal fee. This will remain valid for you as long as we are in practice. We want to give full and undivided attention to your care on the day of surgery. Thus we set aside the entire day for you and you alone. You will arrive in the morning in time to allow us to perform your entire procedure and have you home by the late afternoon. This way there is no rush and we can concentrate totally on giving you the highest standard of care with no possible interruptions. Some offices and implant centers will only let you keep your final new teeth from your All-on-4 procedure. We let you keep your temporary new teeth as well. They will serve as your fully functional and aesthetic fixed-in teeth in the event that your final restorations ever have to be removed in the future for cleaning or repair. 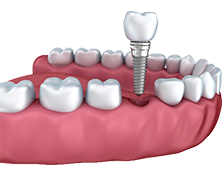 Conventional dental implant treatment can take anywhere from three to twelve months from the time of extracting a tooth to the placing of a functional restoration on a fully healed implant. Bone grafting often has to be done before implant placement and each leg of the process adds months to the overall procedure. Our use of 3D CT scans and advanced extraction techniques allow us to extract your teeth without damaging the surrounding gum and bone tissues, making bone grafting unnecessary in the vast majority of cases. Because of this, we can extract the tooth and place an implant and a temporary but functional replacement tooth all on the same day for most patients. Many nonspecialist offices perform surgical procedures, such as implant placement, using the same infection safeguards as are used in conventional restorative dentistry. Surgical standards to guard against infection are far more rigorous. At Pacific Northwest Periodontics and Implant Dentistry, all patients are fully draped for surgery and our team thoroughly applies surgical level infection control procedures. This may appear more expensive at first, but it is actually more cost-effective over the long term. Top-quality components have an extremely high success rate and longevity compared to cheaper “knock-off” brands which do not pay as much attention to structural integrity. 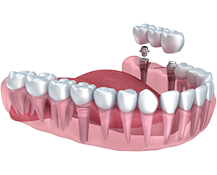 We use Nobel Biocare implants for your All-on-4 procedure. 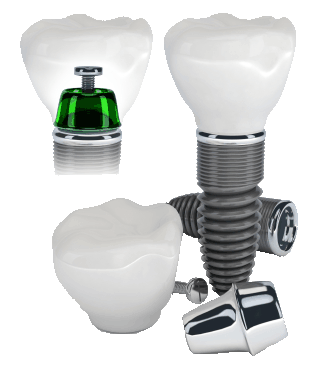 Nobel Biocare provides a lifetime warranty for the structural integrity of your implants. You can come back to us, or any Nobel Biocare provider in the U.S., for any issues for which the warranty gives coverage. Numerous Seattle area dentists bring themselves and their families to our office for periodontal treatment and dental implant services. They are aware of our technical expertise and personalized care, and know they will receive the best in treatment.